Scotland’s National Airshow has been flying high for 20 years and I have been privileged to be a part of the behind-the-scenes team for the past eight years. This year’s air display on Saturday 22 July 2017 sees a welcome return to some of my flying favourites, which I thought I would share with you. I’m delighted that the dynamic RAF Red Arrows team are returning in to East Fortune Airfield in their 53rd display year. Scotland’s National Airshow is one of the 60 displays the nine fast-jet pilots are expected to perform this summer. The 2017 Royal Air Force Aerobatic Team, the Red Arrows at the Hellenic Air Force Base (HAF) in Tanagra, Greece © MOD Crown Copyright. 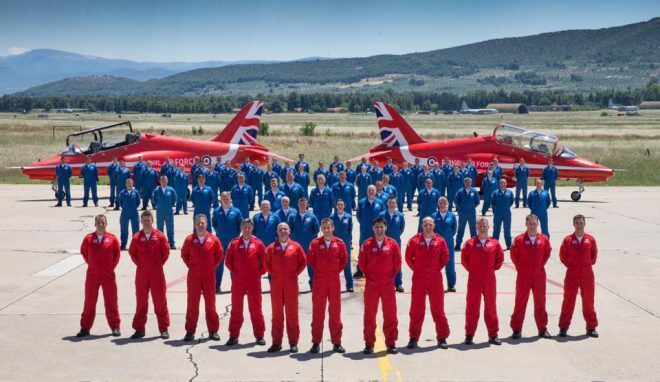 Direct from their Spring Hawk training exercise in Greece, the RAF Red Arrows news reports that the “Red Arrows begin new season with colourful additions to display. After months of training, the Red Arrows’ 2017 display season is officially getting underway.” You can read the full article here, and find out more about the 2017 RAF Red Arrows team and what to expect this season here: raf.mod.uk/reds. 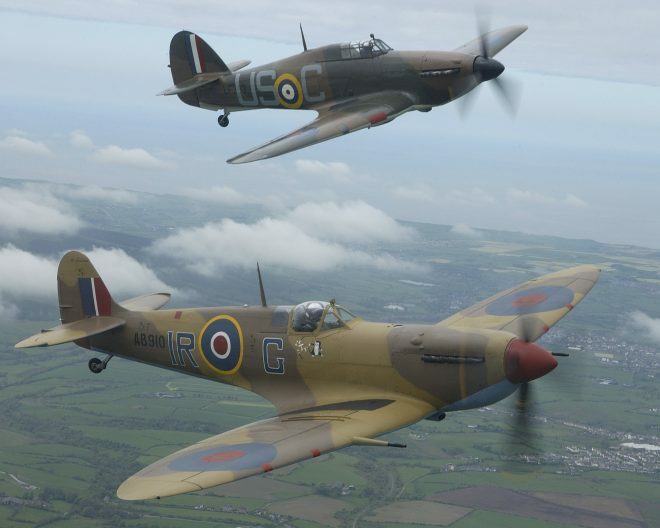 In contrast to the Red Arrows, the majestic Battle of Britain Memorial Flight, which marks its 60th anniversary this year, brings the Spitfire, Hurricane and Lancaster to the skies over East Fortune. I’m reminded of hearing Second World War stories from my mother, particularly about the Supermarine Spitfire. It is probably Britain’s most famous fighter, produced in greater numbers than any other British combat aircraft: 20,341 Spitfires were built in 22 different variants. If you want to take a closer look at a Spitfire, the National Museum of Flight has a Mark XVI on display in our Military Aviation hangar at East Fortune Airfield. Part of a series of images captured during a two day period spent with the Royal Air Forces Battle of Britain Memorial Flight, which is based at RAF Coningsby, Lincolnshire. The Spitfire is seen here in the foreground, and the Hawker Hurricane in the background. Image courtesy MOD under Open Government License. Heroic aerial acrobats will also be provided by a very, very ‘special’ Pitts S2S. The pilot of the Pitts is champion aerobatic display pilot Richard Goodwin, a former Tornado pilot with the RAF. Here’s a taste of what you can expect this year from Richard’s display at Scotland’s National Airshow in 2016. 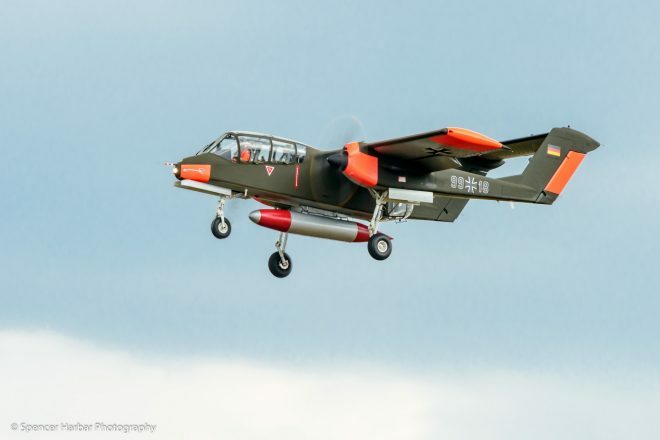 Being someone who likes the weird and wonderful, I’m really excited to report that that Bronco light-attack and reconnaissance aircraft is returning to the air display this year. I find this aircraft quite different in its appearance to many that will be flying this year. 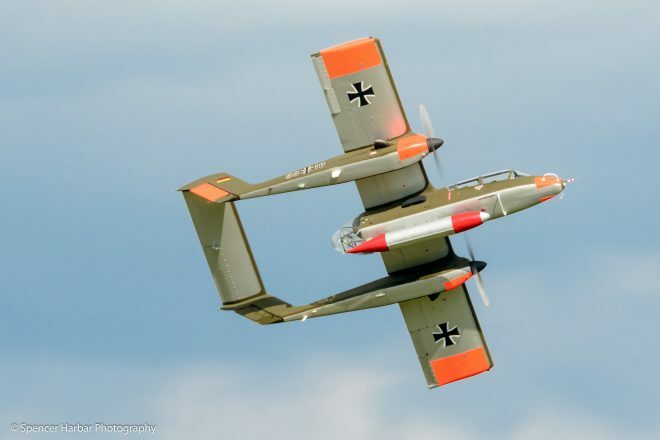 View the OV-10B from various angles at Scotland’s National Airshow in 2014, courtesy of Spencer Harbar. 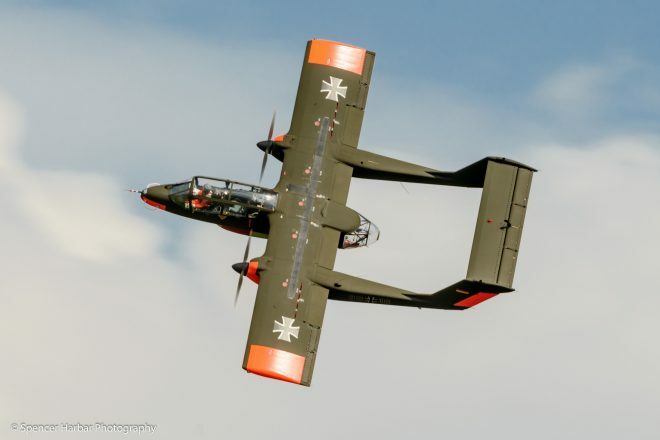 I do hope you’ve enjoyed my flying favourites heading for East Fortune Airfield on Saturday 22 July 2017 and I hope to see you at #airshowscot so you can share your favourites. Book tickets advanced tickets by 5pm on Friday 21 July 2017 and order your copy of the this year’s programme in advance to save time on the day. Event programme subject to change. 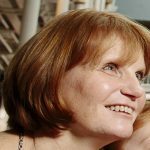 Other posts by this author. Filming inside a tomb, on board a bus and more!